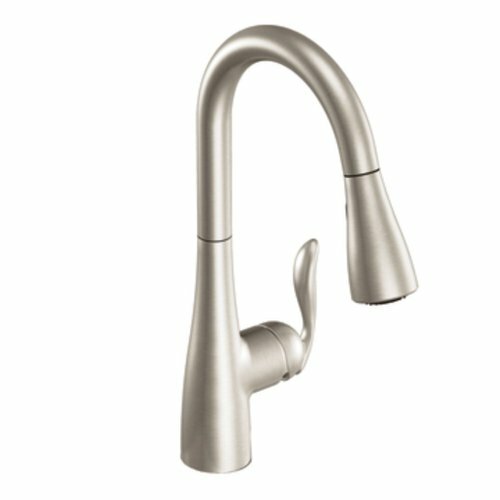 A modern kitchen faucet that will fit with every interior. Made with an amazing modern design and can be installed very fast in every kitchen. 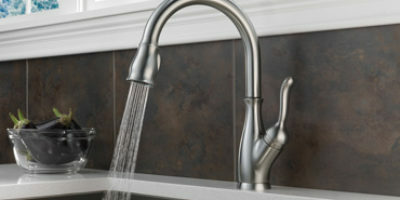 The Moen Arbor Faucet is really easy to install. You practically don’t need any tools nor you need to hire professionals and pay lots of money to the for properly installing it. Both one and three holes system works with it and after installing it properly you don’t need to worry about anything because it also comes with a lifetime warranty. This model from Moen is made to be used without any electric power. Everything is adjusted and operated from one handle. The temperature, the stream, the type of the flow, everything is regulated from the handle. This model follows the same style as most of the Moen models which mean the high arc style is pretty recognizable. The highest point of the arc is 15.5 inches, and the overall length of it from the highest point to the bottom under the cabinet is 24.8 inches. With this, you can be sure that the water you get from the spout will be enough for everything you need to do inside the sink. If you need to do something outside of the sink, there’s no problem again. There’s a hose with the faucet that is rather impressive. The hose is 68 inches long which is really amazing because you can get everywhere around the sink. The spout moves left and right and together with the length of the hose, there’s nothing you can’t do in the kitchen. There are 2 different streams available. One is the standard, and the other is power clean spray that is suitable for cleaning. They are controlled by the button on the spray head that also can be used for stopping and turning on the water flow again. After you take out the hose and use the spray head, you’ll have no problem with taking it back to its place. The docking system is done great and you’ll feel excellent while using the faucet. 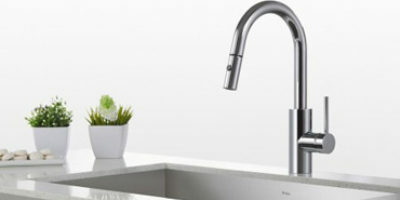 The design of the Moet Arbor One Handle faucet can be called modern. It is a pull-down faucet with a style that’s clean and sharp and you’ll feel really cool while working around the kitchen. Of course, this doesn’t mean you can’t use it in a different kitchen setting, but we must say that is will go much better in a modern type of interior. The material that this faucet is made of is metal. This is standard for a lot of faucets, but what’s really impressive is the stainless and spotless material used as finishing. Fingerprints, water drops can’t hold on the surface of it and the user doesn’t need to worry about maintenance as it is really easy to be done. It’s a state of the art faucet but it still lacks some features that modern faucets have nowadays. Everything is controlled from one handle but there’s still help from the button placed on the spray head which controls the water flow and stream. The hose is also another thing that’s a great part of the design. It’s 68 inches long and really stands out from the competition. Mounted on one or three holes, the faucet looks like it is made from one piece. Only small lines can be seen on the transition from the body to the spout and from the spout to the spray head. After working with the spray head and the hose, you won’t have a problem returning it on its place. The docking system is made beautiful. After being docked, the spray head and the spout again look like they’re made from one piece which is really impressive.